1. For the dressing: Place all the ingredients in a small food processor and whiz until combined. If not using immediately, transfer to a small jar, secure with a lid and chill for up to 1 week. Shake well to serve. 2. 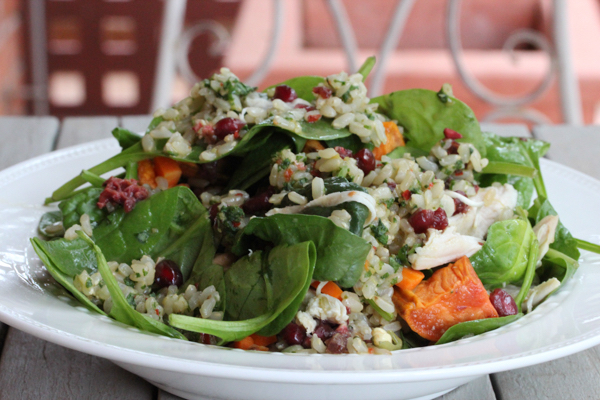 In a large bowl place rice, sweet potato, pomegranate seeds, spinach, carrot, chicken and sprouts. Chill until ready to serve. 3. To serve, gently toss with dressing to combine.